New Delhi: The Bharatiya Janata Party (BJP) accounted for 93 per cent of the total donations of above Rs 20,000 received by all the national political parties in FY 2017-18. Out of the total donations of Rs 469.89 crore declared by all the parties in 2017-18, BJP bagged a major chunk of Rs 437.04 crore, according to an Association for Democratic Reforms(ADR) analysis of declarations made by national parties to Election Commission. The remaining amount was received by Indian National Congress (Rs 26.658 crore), Nationalist Congress Party (2.087 crore), Communist Party of India (Marxist) (Rs 2.756 crore), Communist Party of India (Rs 1.146 crore) and All India Trinamool Congress (Rs 0.20 crore). Bahujan Samaj Party (BSP) declared no donation of more than Rs 20,000. The donations declared by BJP are more than 12 times the aggregate declared by Congress, NCP, CPI, CPM and AITC for the same period. In terms of the number of donations, the analysis states that BJP received 2,977 (70 per cent) donations of the total 4,201 donations. 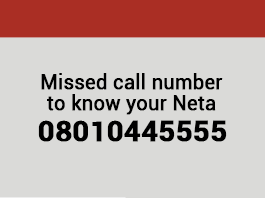 On the other hand, Congress, NCP, CPM, CPI and AITC received 777, 42, 196, 176, and 33 donations, respectively. Compared with the financial year 2016-17, there was a 20 per cent decline in the total amount of donations declared by national parties in 2017-18. Donations worth Rs 589.38 crore were received by national parties in 2016-17. 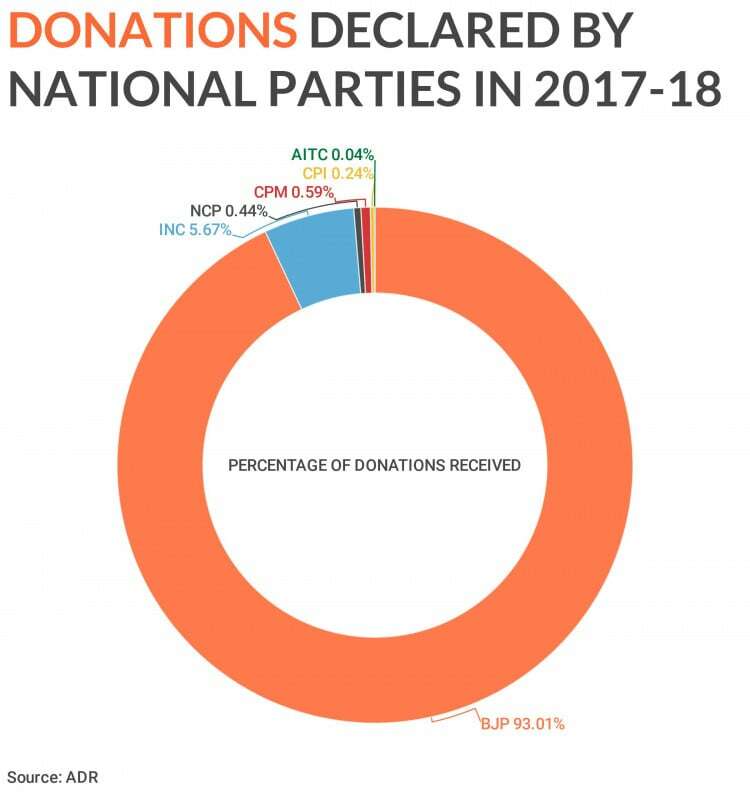 Party-wise too, donations declined 18 per cent for BJP, 36 per cent for Congress, 67 per cent for NCP, 47 per cent for CPM, 20 per cent for CPI and 90 per cent for AITC, during 2017-18 in comparison with 2016-7. 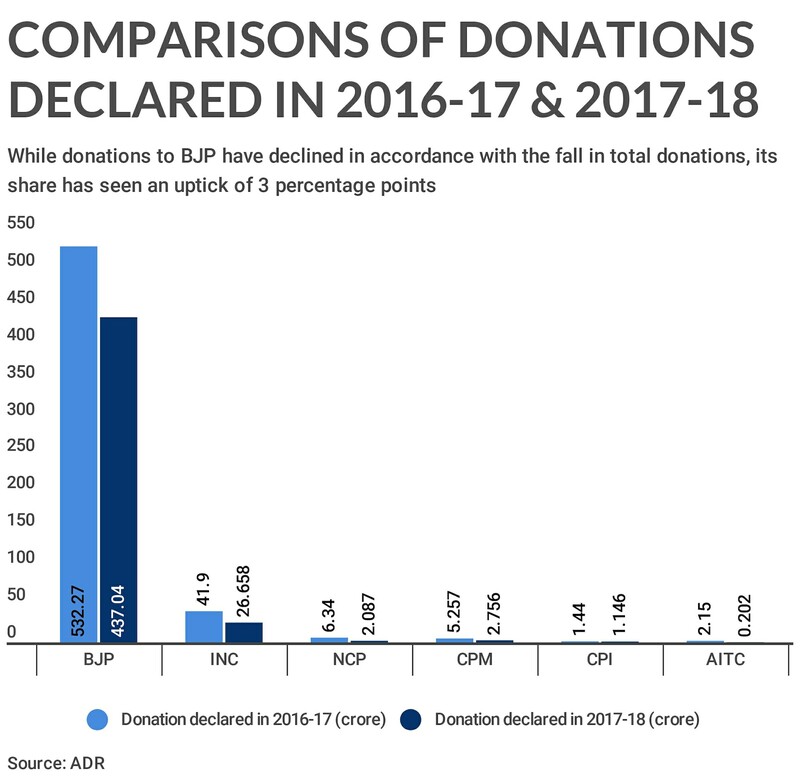 However, for BJP, while there was a decline in donations received by the party, its share in the total amount of donations has seen an increase of 3 percentage points. Delhi emerged as the biggest contributor with Rs 208.56 crore (44 per cent) worth of donations coming from the national capital in 2017-18, followed by Maharashtra (Rs 71.93 crore), Gujarat (Rs 44.02 crore), Karnataka (Rs 43.67 crore) and Haryana (Rs 10.59 crore). A total of 1,361 donations amounting to Rs 422.04 crore were made by corporate/business sectors. 1,207 such donations were made to the BJP amounting to Rs 400.23 crore, while Congress received 53 donations from corporate/business sectors amounting to Rs 19.298 crore.